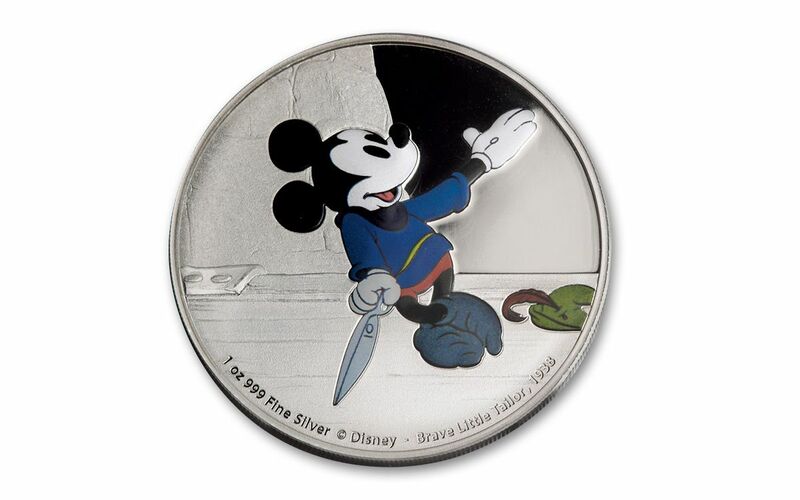 In this 1938 Disney short, Mickey takes on the role of the Brave Little Tailor, a man mistaken for a killer of giants. Despite his attempt to explain that he killed seven flies in one blow, the king makes an offer he can't refuse: kill a local giant, and receive the willing hand of Princess Minnie. Unable to say no, Mickey takes on the quest, armed only with his trusty scissors. This incredible colored proof captures Mickey Mouse telling his tale of insect-killing prowess to the king. 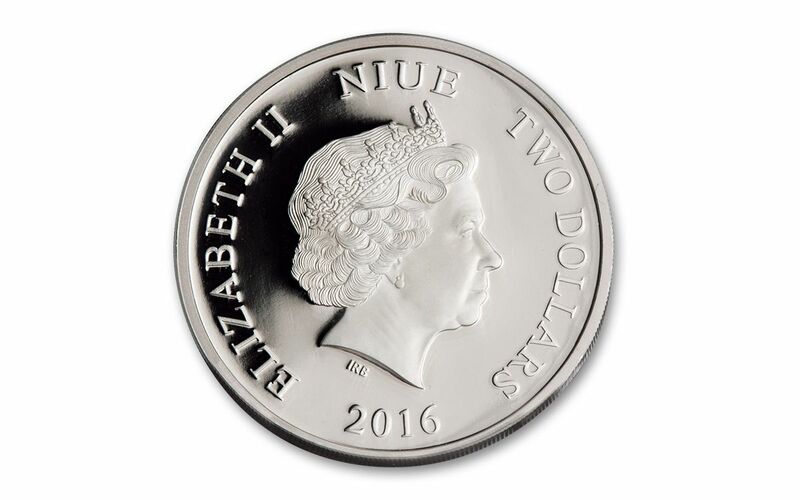 It's minted in one Troy ounce of 99.9% fine silver. 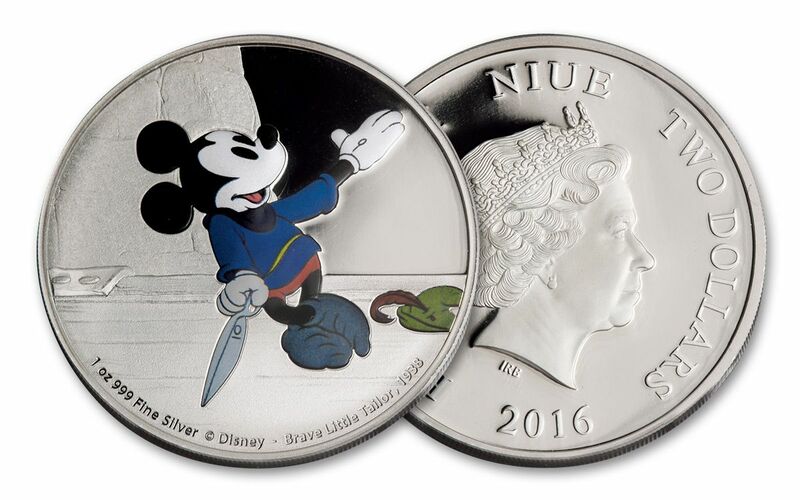 This is a limited mintage, so order yours today!